Sometimes, you have to use a product for quite a while before you figure out if it’s something you like or dislike. And sometimes, by the time you have figured it out, you realize that you’ve forgotten to take photos of it in its pristine condition. Thus was the fate of my Charlotte Tilbury Filmstar Bronze & Glow palette and why you see it here in its well-used, defiled glory. But I think sometimes that’s good. Bloggers are human. We (most of us) use our products, and it is a sad day that we don’t, and just keep products to display. And sometimes, we rediscover products, and tell you about it. 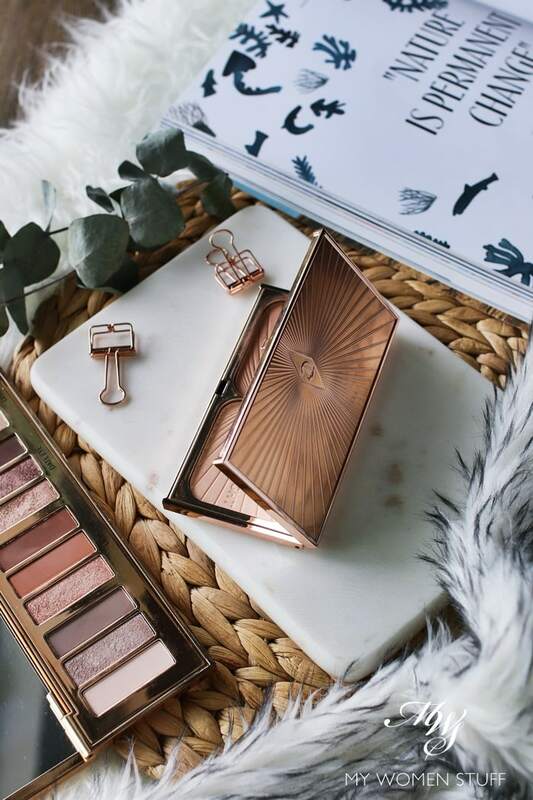 When the Charlotte Tilbury Filmstar Bronze & Glow palette took the world by storm a few years ago, I had not yet figured out what bronzer did for me. I still had it in my head that a bronzer was to do with contouring the face. It is, but not in the Kardashian way. I now use bronzing powders as a face warming powder. When I started getting the hang of it, I decided to add this popular palette to my growing collection of bronzing powders. The Charlotte Tilbury Filmstar Bronze & Glow palette comes in two shades – Fair/Medium and Medium/Dark. The one I own is Fair/Medium. The Medium/Dark version comes with a deeper toned bronzing powder, and a blush. The Fair/Medium version has a light coloured bronzer on one side marked “Sculpt” and a highlighting powder on the other marked “Highlight”. As you can see, I don’t use very much of the Highlight side, because I don’t really use much highlighter. But I have this to say about this palette. It is so easy to use, I cannot believe I waited so long to get it! 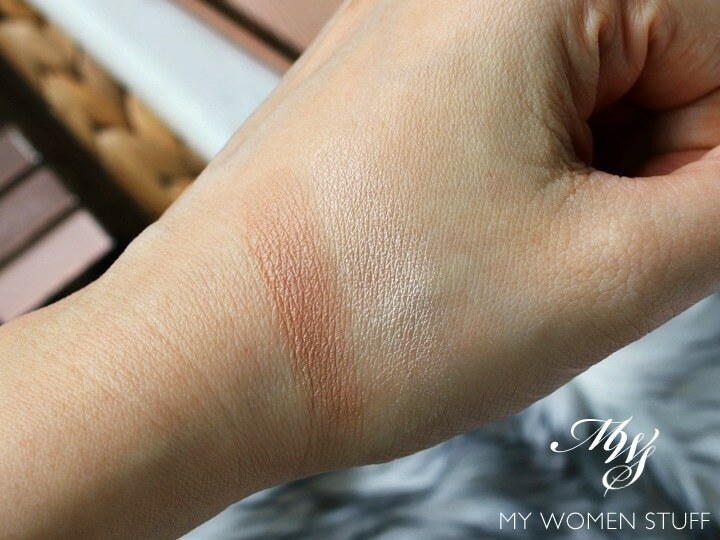 This is a swatch of the powders on the back of my hand. I had to swatch it fairly heavily to get the Sculpt powder to show up. The Highlight gives a glow and shine to the skin, but it isn’t blingy the way that a Becca highlighter will be. However, as you can see from my well-used palette, it is the Sculpt bronzing powder that truly stands out for me. I just dab the brush into the powder and then brush it along the sides of my face and cheekbones, for a very diffused look. It is very gentle and very subtle. The bronzing powder is quite light, and some may even find it too subtle for their tastes. If you prefer a more sculpted look, then this will not be for you. It isn’t strong enough. However, if you are anything like me, and want just a touch of warmth to your skin (it brings out makeup prettily, and makes you look healthy – I never believed it till I saw it for myself!) and have fair skin, then you will appreciate how foolproof this one is. It is almost impossible to make a mistake unless you are very heavy handed. The packaging is a very slim, light palette. It looks quite lush with its rose-gold metallic tone and the lines radiating on from the logo on the cover. But it does feel rather light and plasticky. For the price you pay, the packaging is most certainly a bit of a let-down. That said however, it does make it more portable. It is very slim, and you don’t really want a heavy metal palette when travelling. What I like most about this palette is how well it works for lighter skin tones. As I don’t aim for the chiseled look, it can be a challenge finding bronzers that aren’t too dark or too orange on light skin. This one has the right amount of brown and grey tones, so your skin gets the warmth without the orange tint. I usually wear this along the sides of my face to add warmth, and then dab some blush on top. If I go for the “no-makeup” look then I wear this on its own over a light base, and sit around looking like I made no effort, when I did LOL! 😀 Tell me you do the same? The Charlotte Tilbury Bronze & Glow palette is a duo of bronzing powder and highlight in a slim compact. The Fair/Medium version boasts a very flattering and easy to use bronzing powder that adds just the right amount of warmth to the skin without too much colour. The highlight side is fairly subtle, adding just the right amount of glow to the skin without a noticeable shine. This palette will work best on someone with very light to a light-medium skin tone. For deeper skintones, there is another palette with deeper toned powders. I personally love this, and use it very often on its own or under a blush. It gives skin a barely noticeable healthy glow that is very flattering. 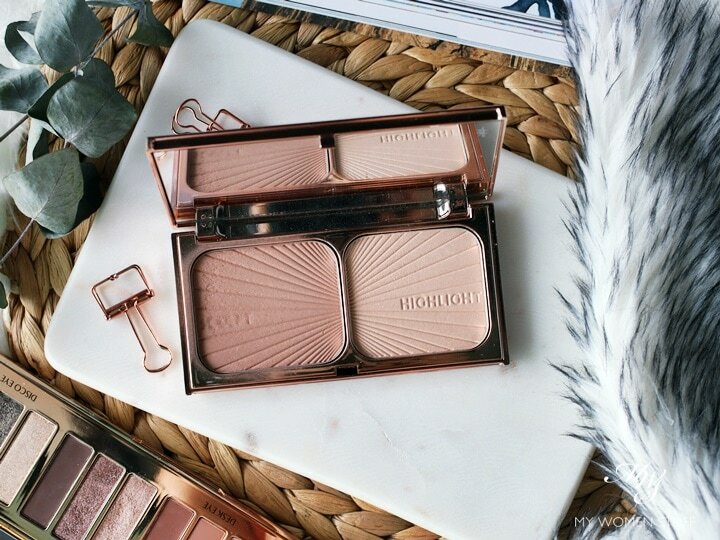 Have you tried this Charlotte Tilbury Filmstar Bronze & Glow palette? Are you a fan? PREVIOUS POST: When it comes to your skincare – is less more? Should you go on the Skincare Diet? I love this palette. Mine broke after I used maybe 20% of it, and I had to immediately go buy another one. It’s so good. I was afraid of it when I saw everyone raving about it a few years back LOL! We don’t have a counter here, so it was a bit of a leap of faith for me when I decided to eventually get it. But I’m so glad I did! It’s so good but I only use one side of it. The highlight side is still almost pristine! Ahhhh bronzers. My forever love. This CT one is easily one of my favourites because of the colour, finish, down to the optimum size of the palette where it is the perfect shape for my brush to go in. Totally with you in that I rarely use the highlighter side. When I do use the highlighter, it is very pretty cos it’s subtle. But the bronzer is stunning and effortless! Well, for someone who doesn’t intend to look like a sculpted goddess that is lol!